San Francisco, CA, August 22, 2012—Scratch is a wildly popular educational programming language used by millions of first-time programmers worldwide. 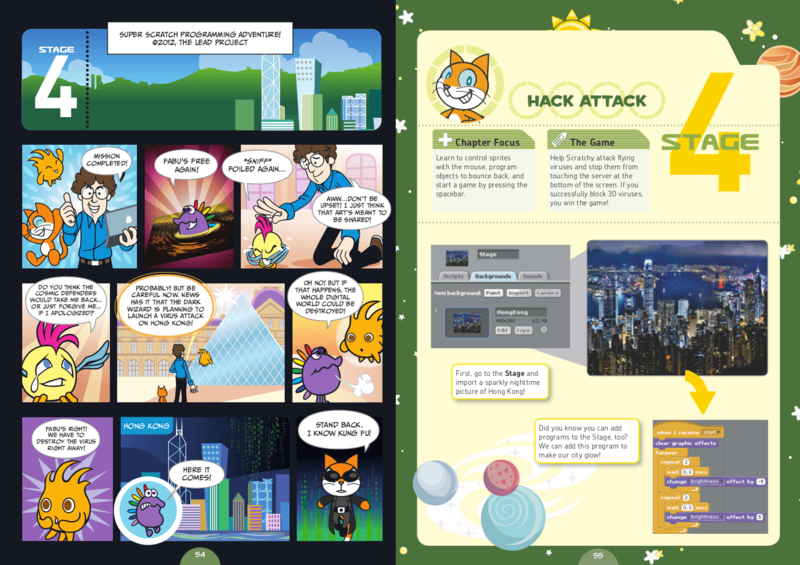 Developed by MIT's Media Lab, Scratch lets kids create interactive games, stories, music, and art and see the results of their work immediately. Just by combining colorful blocks of code, kids quickly learn computer programming concepts without having to master the cryptic syntaxes found in other programming languages. Super Scratch Programming Adventure! (No Starch Press, August 2012, 160 pp., $24.95, ISBN 9781593274092) is a kid-friendly guide that promises to be the introduction to Scratch that young geeks (and the people who love them) have been waiting for. This full-color, cartoon-illustrated book teaches programming fundamentals with patient, step-by-step explanations and exciting programming challenges. Each chapter covers an arcade-inspired videogame that kids can create (and play!) in an afternoon. Endorsed by Mitchel Resnick, MIT professor and the creator of Scratch, Super Scratch Programming Adventure! promises to make programming accessible and fun for any beginning programmer. For more information or to request a review copy of Super Scratch Programming Adventure!, contact Jessica Miller at No Starch Press ([email protected], +1.415.863.9900, x110) or visit www.nostarch.com. The Scratch programming language makes it easy to create interactive art, stories, simulations, and games, and share those creations online. Scratch is developed by the Lifelong Kindergarten Group at the MIT Media Lab. The Scratch website has nearly 1.2 million registered users who have shared over 2.7 million projects to date. This book is a translation from a Chinese edition by the Learning through Engineering, Art, and Design (LEAD) Project, an educational initiative established to encourage the development of creative thinking through the use of technology. Created by The Hong Kong Federation of Youth Groups in collaboration with the MIT Media Lab, the LEAD project promotes hands-on, design-based activities to foster innovation, problem-solving skills, and technical literacy. Since its founding, the LEAD project has promoted technology education on a grand scale, reaching more than 1 million students, parents, and educators.